Artificial Grass in Tracy, San Joaquin County, California & Beyond. Ready to make the switch to artificial grass in Tracy, San Joaquin County, CA? It’s a smart move. By replacing your grass lawn with artificial grass in Tracy, CA, you’ll boost your property’s curb appeal and reduce your bills. Watersavers Turf will help. We’re the premier suppliers of artificial grass in Tracy, CA, with a range of styles perfect for both homeowners and commercial property owners. We’ll also supply the tools you need to install, maintain, and enjoy your turf. Need a contractor in the area to install our product? When you buy from us, we’re always happy to refer one. No matter what kind of property you own, there are many benefits of fake grass in Tracy, CA. For one, you won’t have to devote nearly as much energy to lawn care. Low upkeep is one of the key benefits of fake grass in Tracy, CA. You never need to water or mow our products. This means you’ll save money and conserve a major resource. On top of that, your lawn will always look bright green and healthy. To learn more about the benefits of fake grass in Tracy, CA, take a look at our Annual Cost Savings Chart. When you replace live grass with our products, you could save you as much as $2,000 a year on lawn care. You’ll also cut your water usage by an average of 30,000 gallons per year. That’s why so many cities have begun to offer rebates to property owners who switch to this surface option. Watersavers Turf offers a wide range of benefits for lawn replacement in Tracy, CA and beyond. It all starts with our rigorous testing process. We only sell lawn replacement turf that’s certified lead-free and non-toxic. Your safety is essential. That said, safety isn’t all we deliver. Our lawn replacement turf is also fire-resistant, UV-resistant, and durable enough to meet official FIFA standards. We’re so confident in our products that we gladly offer an 18-year residential use warranty (10 years for commercial use). No other local supplier matches that offer. At Watersavers Turf, we also believe in providing top-quality customer service. Visit any of our SF Bay Area locations to discuss your project with a member of our team. They’ll help you choose the right turf for your goals. We carry more than 40 varieties! Yes, that is a lot. It’s hard for some people to decide with that many options. That’s why we also offer free large 1’ x 1’ turf samples. They give you a chance to test out different styles at your property before choosing one. Samples are at all our stores, but you don’t need to be from the area to claim yours. We’ll ship them anywhere in the Continental United States. Shipping is free for contractors. As a turf supplier, we value our relationship with the crews who install our products. They play a key role in our business. To help them offer the best service to their clients, we host free classes teaching contractors how to do installs. Check our schedule to find the next class you can attend. If you ever want to learn more, call us toll-free at 844-974-8873, or chat with us on the web. You can also get a free estimate for your project at our website. Although replacing a lawn is one of the most common uses for residential artificial grass in Tracy, California, it isn’t the only way to use our products. Residential artificial grass is much more versatile than live grass. 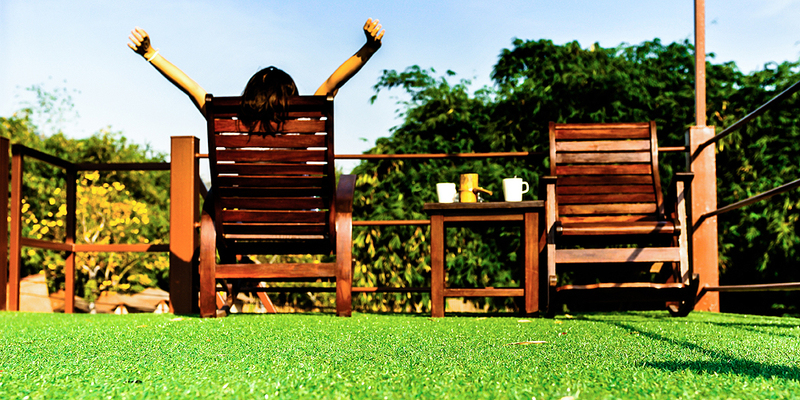 With residential artificial grass, you can tailor your lawn to your lifestyle and tastes. For instance, you might have kids who like to play in the yard. You could install a play area with our turf and add lawn pads under it. If your kids trip and fall on it, they’re less likely to get hurt. Does someone in your house like to golf? Consider installing your own backyard putting green. We offer the ideal turf for this project. We’ll even supply golf flags! Many people who make the switch wish want to show off certain areas of their properties. For example, you might want to install a path that leads people through your garden. Live grass will compete with your other plants for nutrients. Our turf will attract the eye without robbing your plants and flowers of food. For more ideas, read our blogs and newsletters. They’ll inspire you to come up with even more unique turf projects. 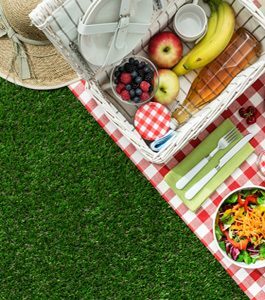 For business owners, it’s easy to find uses for commercial synthetic grass in Tracy, California. Virtually all businesses rely on curb appeal to attract guests and impress clients. That’s why commercial synthetic grass makes for such a useful lawn surface. It looks great and requires very little lawn care. Instead of pouring money and resources into maintaining your property, install commercial synthetic grass. It’s a great fit for any business. At stores, it grabs the attention of potential customers passing by. Cafe owners use it in al fresco dining areas to boost the overall atmosphere. Plastic grass walkways direct guests to points of interest at outdoor malls. It also allows outdoor music venue owners to provide comfortable, clean lawn seating. Some business owners even use it to boost employee productivity. Studies have shown that spending just a few minutes in a green space (even if it isn’t “natural”) promotes calm feelings. Some companies have applied this principle to their offices. They install turf break areas for workers to lounge in. This makes them more focused and relaxed when they return from their breaks. You can probably already think of some uses for artificial sports turf and pet grass. Artificial sports turf has been in place at arenas throughout the world for decades. Pet grass is found in many dog parks. That said, you don’t need to run a major sports facility or sit on your town board to make use of artificial sports turf and pet grass. They offer key benefits that many people can take advantage of. Perhaps you serve on the board of a budget-strapped school district. Many school boards struggle to find money for their athletic programs. This is often due to the high costs of lawn care. A grass field requires constant upkeep. You need to hire someone to mow it, seed it, water it, and repair it. This is a big drain on the budget. That’s why many districts switch out their grass fields with our products. Unlike live grass, our turf doesn’t need a lot of upkeep. It’s also a safer option. It dries more quickly after rain, and stays flat and even for years. This means players are less likely to trip and fall. For dog owners, we offer turf that makes for an ideal backyard dog run. It’s important to let your little buddy get exercise, but doing so often means letting them tear up the lawn as they play. Dog owners also know how hard it is to keep their pets from tracking mud and dirt back into the house after playing outside. A backyard dog run gives them a safe place to use up their energy. Adding this feature to a kennel is also a smart way to attract more business. Watersavers Turf makes it easier than ever to find turf tools and turf accessories for Tracy, California. We carry everything from boxwood ivy panels to gopher wire. Some homeowners miss the smell of fresh grass. Thanks to the FreshCut Scent product, they can get the best of both worlds. It mimics the smell of live grass when applied to our turf. That’s just the tip of the iceberg. Check our full catalogue for even more products! We’ll ship to any destination in the state. If it’s in the SF Bay Area, shipping is free. Finding things to do in Tracy, CA is easy. Are you the kind of person who likes to learn about history and culture? The Tracy Historical Museum offers a glimpse into the city’s past. Windmill Ridge Winery and Ramon Rios Winery highlight one of the key regional industries. 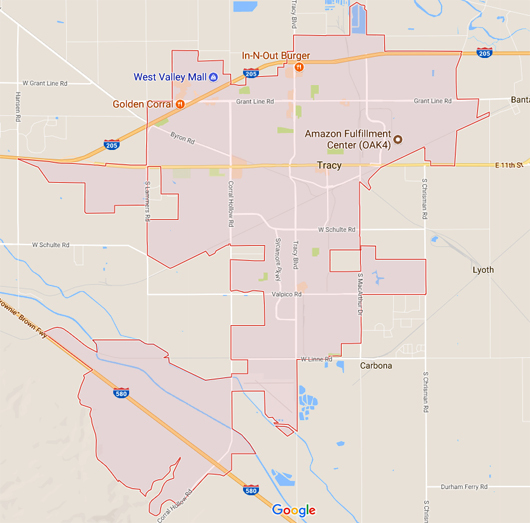 If you’re looking for things to do in Tracy, CA over the course of a full day, head to the downtown area. It’s filled with a wide range of shops and restaurants. Thanks to its numerous parks, there are plenty of things to do in Tracy, CA with your kids as well. Please visit us at one of our SF Bay Area locations during your visit. We’re ready to get you started on your project. If you’re not planning on being in the area anytime soon, you can still discuss your plans with us. Just call us toll-free at 844-974-8873, or chat online. Be sure to ask about our free estimates, delivery offers, and samples!